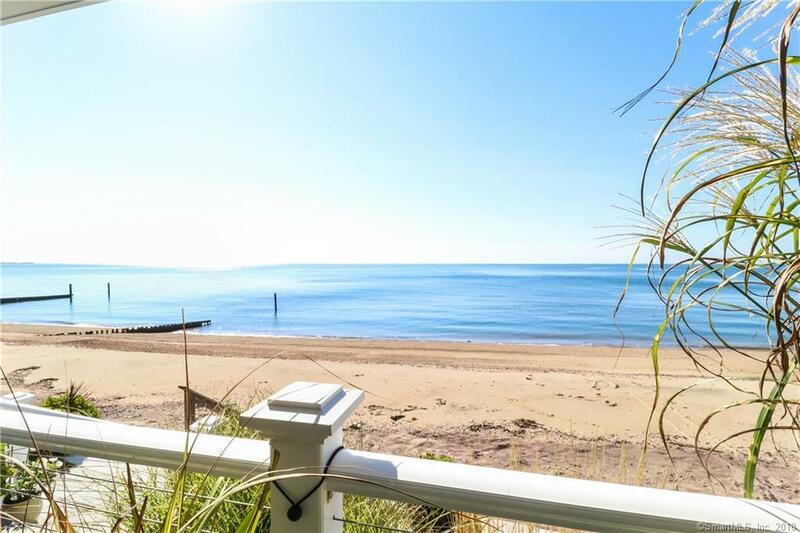 You will enjoy living in this completely renovated waterfront home on the Madison shoreline. 104 Middle Beach Rd was completely rebuilt. The 2,800+ Sq.Ft.of open area allows for the easy lifestyle enjoyed along the shore.A state-of-Art kitchen opens to the Great Room allowing all family members and guests to converse, enjoy the fireplace and the views from every window. French doors lead out to a 28 x 14 foot porch with views of Tuxis Island and steps to a sandy pristine beach. The 2nd Flr.Master Suite (24 x 18) has a private balcony for early morning coffee and a view of the sunrise. A large full bath and two over sized closets are enjoyed. Two more bedrooms on the 2nd floor share a large full bath and great views. A staircase leads to a very large 3rd floor bonus room with breath taking views. It now houses a large king size bed, full bath, trundle bed with lots of room to spare. It certainly can be converted to a second master suite. The very dry basement is perfect for storage and a rare find among waterfront properties. You will enjoy a pleasant walk along the beach or into the village of Madison. Madison enjoys many amenities from concerts on the village Green, Farmer's Market, Antique and Craft shows , fishing and many fine restaurants. There is easy access to New York and Boston. Please come and preview this wonderful property. Click Virtual tour, the arrows find photos of different areas.